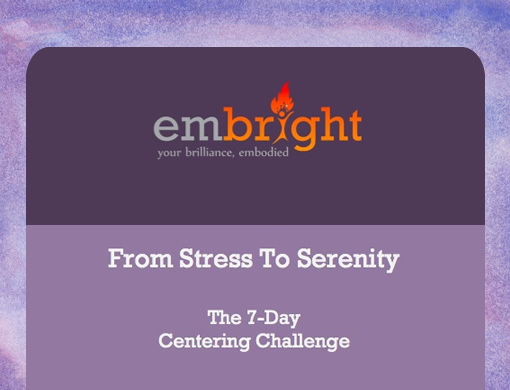 This Centering Challenge is designed to help you settle your psychobiology in times of stress and difficulty. 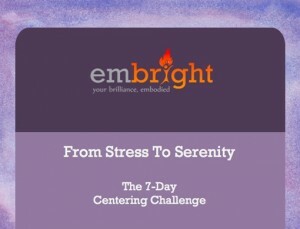 I’ll introduce you to a holistic method of calming your nervous system and realigning your “head, heart, and hands” with what you care about, so that you can take action from a more centered place even when life gets hard. I’m offering this at no cost to you because I want to see many more people benefit from the gifts that have been passed on to me. I hope you enjoy it! For the next couple of weeks you’ll receive a new practice direct to your inbox every few days. Just spend 5-10 minutes following along with the audio recording, then practice a few more times as you go about your day. Each practice builds on the one you did the day before, so by the end of the challenge you’ll have a strong foundation. It’s easy to learn, and with enough practice it can make a BIG difference in your life. Have fun!